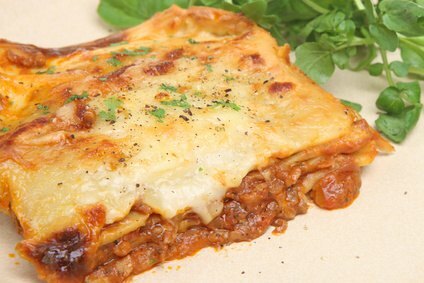 This venison lasagna recipe is perfect. 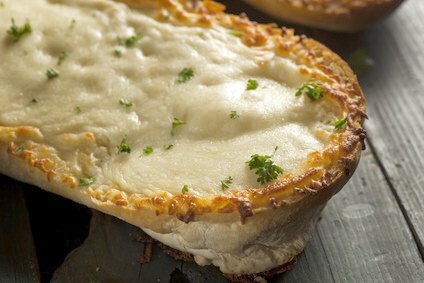 Seasoned perfectly and gooey cheese makes this a favorite. This delicious crock pot venison lasagna will be one of your family's most requested venison recipe. Recipes so good, they are featured on OutdoorChannel.com. In a skillet, cook venison and sausage with the onion until no longer pink. Add garlic and drain. Stir in tomato sauce, water, salt, oregano, Italian seasoning and basil. Simmer for at least 30 minutes. Meanwhile, combine the ricotta cheese, eggs and parsley. Spread 1/3 of the meat sauce mixture on the bottom of a ungreased 5-qt. crock pot. Arrange a third of the noodles over sauce, then 1/3 of the ricotta cheese mixture, 1/3 of the parmesan cheese and 1/3 of the mozzarella. Spoon another 1/3 of the ingredients and repeat - ending with the mozzarella cheese on top. Cover and cook on low for 4 hours. Serve with a fresh salad and garlic bread. You may also use no-cook lasagna noodles if you wish. You need to add another 1/2 cup water and 6 oz tomato paste. You may also use homemade spaghetti sauce instead. This meal is certainly going to impress your friends and family. You may change the ingredients to suite your family. Folks won't even know they are eating venison. I like the mixture of venison and Italian sausage. You may also use ground beef if you choose. Remember this is just the foundation of a venison lasagna recipe, change any ingredient and make it your own. Just slice a loaf of homemade French bread horizontally (lengthwise)** and spread on this magical garlic butter (you may add shredded mozzarella on top - a must in Wisconsin). Bake it in the oven until golden brown. Out of this world. Serve a fresh salad with homemade Italian salad dressing. Now the meal is ready. Be sure to check out more game recipes below.